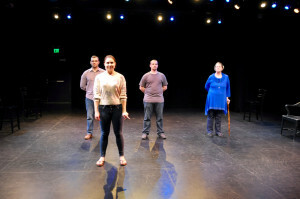 “Telling: Stanford,” a production based on the stories of five members of Stanford’s military-affiliated community, will debut this Thursday evening. 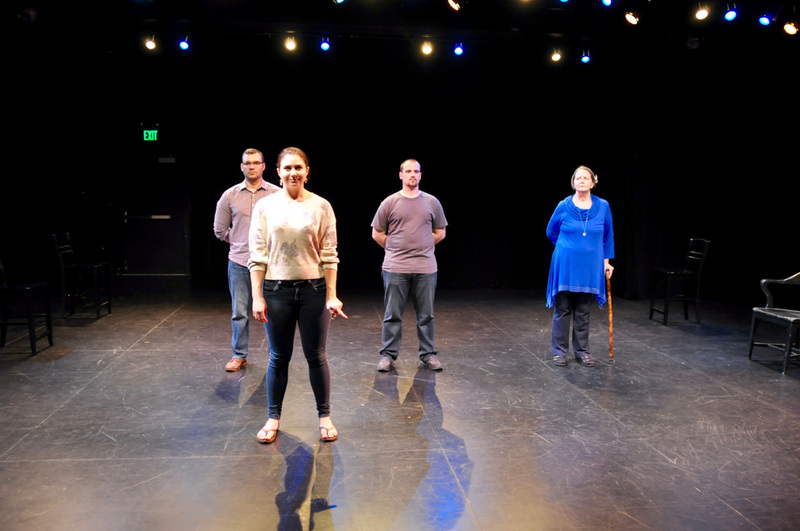 The show will be the 36th installment of The Telling Project, a Texas-based national performing arts nonprofit that seeks to promote understanding between civilians and the military by helping veterans and other members of the military community share their stories through theater. “Veterans are no longer identified by their issues, but they are identified by their presence, by who they are,” he added. Since its founding in 2008, The Telling Project has developed original productions in 19 states and 31 cities. Alex Mallory ’08, the director of “Telling: Stanford,” spearheaded bringing The Telling Project to Stanford after discussing the nonprofit with Roberta Denning, chair of Stanford’s Arts Advisory Council. Mallory coordinated with Dustin Noll, Stanford’s Office for Military Affiliated Communities (OMAC) specialist, to reach out to members of the local military-affiliated community. The show’s cast includes two current Stanford students, Leslie Bridges ’17 and Randall Holmes ’14 M.S. ’17. “Telling: Stanford” also features Bobby McLean, an alumnus of Stanford’s 2to4 veteran accelerator program; Leana Litchfield, the wife of the Associate Vice Provost for Finance and Administration; and Victoria Sanders, a member of the local community. Cast members’ experiences in the military span the past four decades and provide diverse perspectives. Both Holmes and McLean served in the U.S.’s most recent wars. Holmes served as a human intelligence collector in Iraq, while McLean served as an Army ranger on multiple tours in Iraq and Afghanistan. Litchfield is the wife of a 25-year retired Navy officer; Sanders is a veteran of the U.S. Army who served from 1975-76; Bridges is currently in Marine Officer Candidate School and has a brother serving in the U.S. Marines. Reinard compiled the three-act script for “Telling: Stanford” from interviews with each cast member. The first act is ensemble-based and focuses on the cast’s introduction to the military. The second act, told in monologue, presents the moments that defined each cast member’s experience with the military. Finally, the third act is conversational and deals with coming home and reentering civilian life. Bridges said that participating in “Telling: Stanford” has been difficult at times. This vulnerability has been challenging even for cast members who have experience telling their personal stories. An activist for reform of prosecution protocols in military sexual assault cases and for the care of military sexual trauma survivors, Sanders has testified before Congress and the state, and has given multiple interviews. However, she said that “Telling: Stanford” was a new experience. “[“Telling: Stanford”] was appealing to me because it is a different way of dealing with the same subject matter,” she said. According to Noll, there are currently 135 veteran or active-duty students and 13 ROTC students on campus. In addition, many Stanford students have parents who are or were in the military. Bridges said that she is “very interested in the issue of bridging the civil-military divide.” This spring, she will lead an Alternative Spring Break program sponsored by the Haas Center and OMAC that will travel to Washington, D.C. to learn about the military as well as civilian leadership. Sanders emphasized the need for civilians to understand “not just the overall, but the very personal nature” of military service. “Telling: Stanford” will hold five performances over the next week. The first three will take place at the Nitery on Feb. 18-20 at 8 p.m. On Feb. 23, a performance will be held at the Graduate School of Business at 7 p.m. A final performance will take place on Feb. 25 at Branner Lounge at 7 p.m. Admission to all performances is free. Contact Blanca Andrei at bandrei ‘at’ stanford.edu. An earlier version of this article misspelled Roberta Denning and Max Rayneard’s names. The Daily regrets this error.